Maximize the returns of your real estate projects. Powered by AI. We have developed a game-changing AI technology that enables real estate professionals to create better buildings. Based on BIM and building simulations, we explore billions of possible scenarios for each project. You get the best solutions with deep insights into CAPEX, OPEX, comfort and energy performance. Get the maximum returns from your investment. Be certain your future tenants will love the comfort in your building. Rest assured you took care of the environ­mental performance. You don‘t need to change your workflow or your team. Use our web application or let our experts take care of your project. Take better-informed investment decisions and create better buildings. Identify the best renovation solutions and get deep insights into their potentials. Discover hidden potential for additional returns within your building portfolio. Metabuild is based on proven scientific methods. Our AI connects BIM and building simulation. Don't have a BIM model ready? No problem! We take care of BIM modeling for you. Metabuild does not require you to be an expert. All the heavy lifting is done by our AI behind the scenes. Easy to understand results show the numbers that really matter for your project. Metabuild includes a detailed prediction of lighting comfort, thermal comfort and air quality. Metabuild makes sure you meet your local energy code requirements. And we go beyond that if you aim for higher standards. The Metabuild Database contains a vast number of components, such as solar panels, insulation materials, HVAC systems etc. Metabuild uses detailed climate data for your project location, including temparature, sun positions, humidity, etc. You choose if you want to use our easy-to-use web application or if you want to work with our expert team. 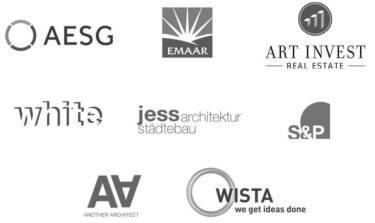 We partner with architectural firms and engineering consultancies to help them deliver better results to their clients. Our Partner Program gives you access to special benefits and additional services.